Osizweni brings the World of Science to the doorsteps of schools in the Standerton Sub-region. Our well-equipped Mobile Laboratory travels to schools to conduct prescribed Science experiments along with the participation of students. Practical work is essential for conceptual knowledge of Science and contributes to students’ assessment marks. 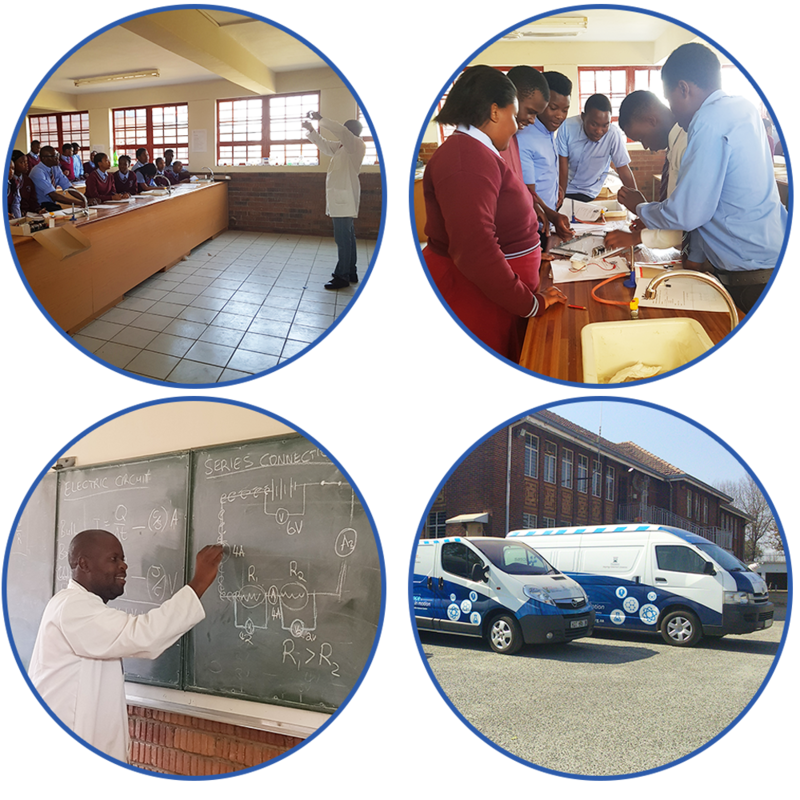 Secondary schools in the region can request a visit from an Osizweni Science Centre Mobile Laboratory. This a fun, educational event for the students and the arrival of a Mobile Laboratory is always a highlight for the school.